Below is 2019 Pre-Pharm Schedule. Pharmacists are no longer being limited to filling prescriptions. Often they must be able to take a blood pressure, listen for heart rates, provide immunizations, and more. This workshop will take students through some of the hands-on training that real pharmacy students are exposed to—and is led by Skaggs School of Pharmacy professors and pharmacy students who can also provide advice and background on UCSD’s renowned school of pharmacy. Find out everything you need to know about getting into pharmacy school -- what schools require, qhat they like to see in students, how you can boost your application. This comprehensive workshop is led by the director of admissions at UCSD Skaggs School of Pharmacy, and will give you an excellent opportunity to ask the experrts all of those important questions. There is much more to pharmacy than simply filling prescriptions. Many pharmacists work in hospitals, clinics and other locations where they can interact more directly with patients and medical personnel. 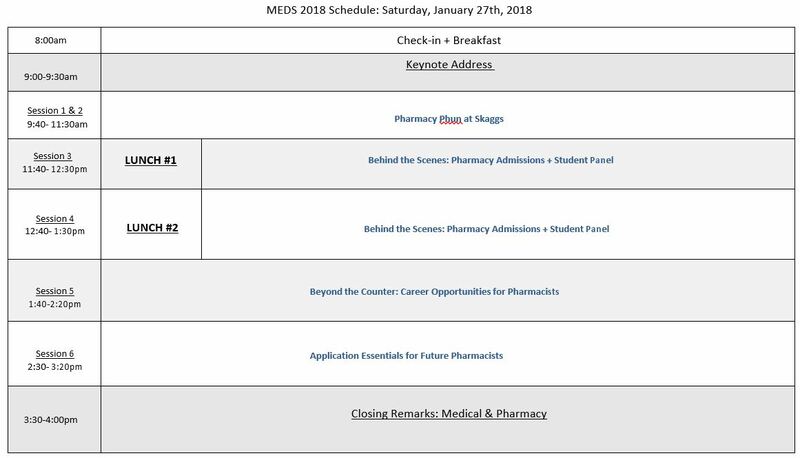 Roughly 60% of UCSD Pharmacy graduates work in environments outside of drug stores -- and in this workshop you will learn about the array of career possibilities available for pharmacists. 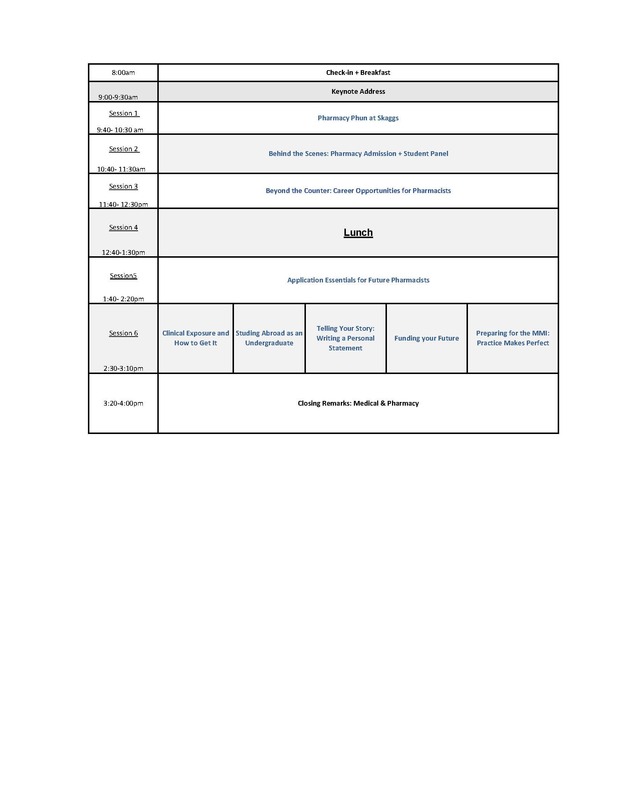 A catered lunch for students and speakers—a perfect opportunity to network and mingle! What you need to know to be prepared to apply for pharmacy school: how to get clinical experience, prerequisites, the PCAT, letters of recommendation, your personal statement and interviews. Get answers to your questions and resources for learning more!